A NoSQL database, Redis gains its importance because of its key-value data store structure and it being an in-memory database. Complex data structures can be manipulated simply in an in-memory database when compared to the same data structure on disk. Moreover its notable speed makes it a great caching layer. With its features which makes it capable of capturing a high volume of continuous data and share a highly scalable data by multiple processes, applications or servers, Redis database is found to be a top choice for developing business applications. 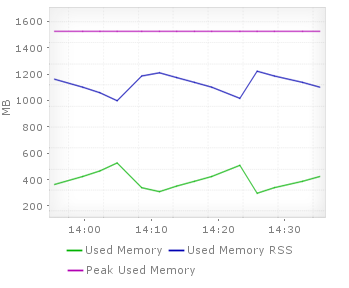 With Applications Manager?s Redis monitoring capability we are letting users gain in-depth visibility into statistical data of key performance metrics like Memory utilization & connection statistics, keyspace statistics, and also the persistence and replication details. Redis splits the data into multiple Redis instances, to handle a large amount of data thereby increasing the performance and reducing the memory load on any one resource. A high-level overview of the Redis infrastructure is therefore essential for effective application monitoring. Applications Manager provides you with an infrastructure view of the cluster to which the Redis server belongs to, its role, health & availability status and also the connected clients to the server. Redis being an in-memory database, uses considerably more memory making it essential to monitor the memory utilization. If the RAM becomes insufficient, the server may start swapping and the performances will degrade. Applications Manager monitors the memory consumption of the Redis server and displays the used, free and total memory of the server in megabytes. 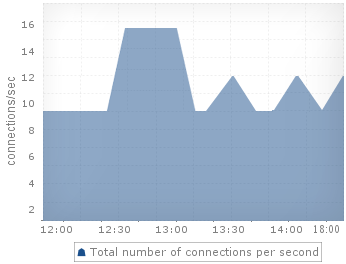 Applications Manager tracks the number of available and blocked connections between the client and database, tracks the connections rejected because of maxclients limit. Since Redis uses a single thread that manages all network connections synchronously, the number of connections between the clients and the database can at times overwhelm the ability of the server to handle requests. 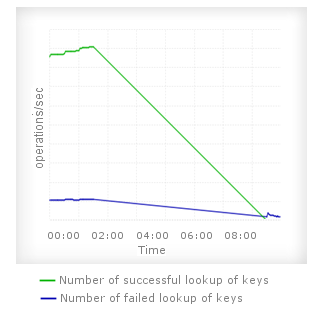 Monitor the percentage of successful/failed lookup of keys through keyspace statistics and ensure the cache is used effectively. Redis, a cache server with key value pair type of storage has thousands of keys. 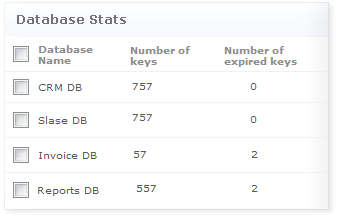 Metrics like keyspace hit percentage gives the percentage of successful and failed lookup of keys into the cache. These values will help one to know the percentage of failures/ cache misses. Alarms can also be configured based on these to get alerted before the number of failed lookups hit the threshold value. Applications Manager helps administrators to gain visibility into the number of keys in the database and the number of keys expired. This data helps to analyze and track the load on the database. Often storing unwanted keys in a database could lead to application performance problems. 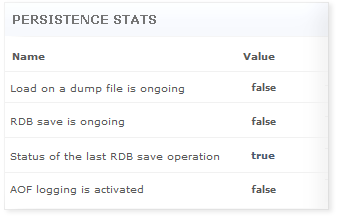 Redis provides two different persistence options viz., RDB and AOF. Monitoring the persistence of the Redis dataset becomes crucial, because if any Redis instance crashes or if there is a problem with the machine, it can result in the in-memory dataset loss. Applications Manager provides you with the status of the last RDB save operation/ AOF rewrite operation, etc., and alerts the user before a critical data loss. Replication is a concept that Redis uses for scalability with master-slave replication. This allows slave Redis servers to be exact copies of master servers. 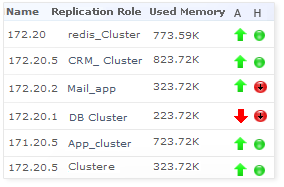 With Applications Manager, you get to know the replication role of a Redis instance. 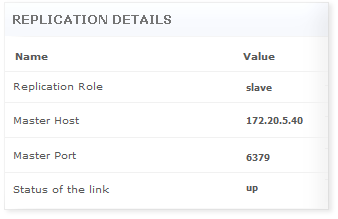 If the instance is a slave, master node details like master host, master port and status of the link will be monitored. Only if the status is up, it ensures that the replication is working. It also lists the number of slaves connected and alerts you in case of issues with master-slave connection.